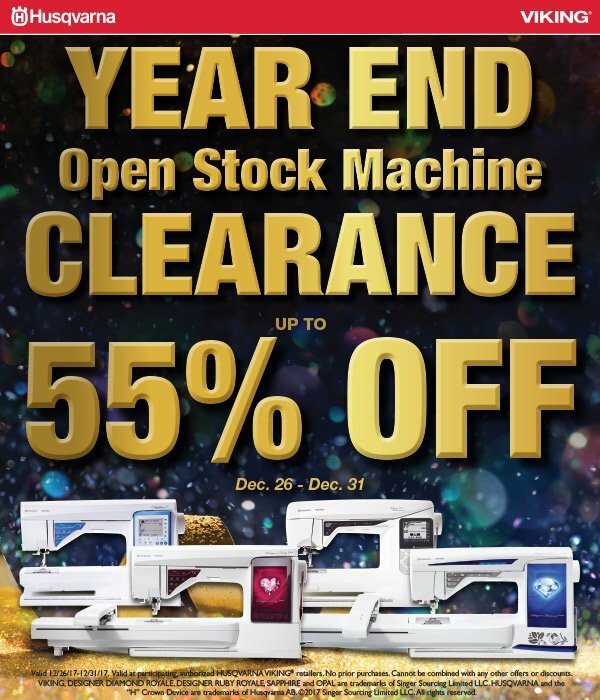 Be sure to stop in this week for year-end sale of all machines, notions, design collections and more! Show your military ID for an additional 10% off. Store hours this week are: Wednesday-Friday 9:30 - 5:30, Saturday 10am - 5pm, Sunday 11am - 4pm.